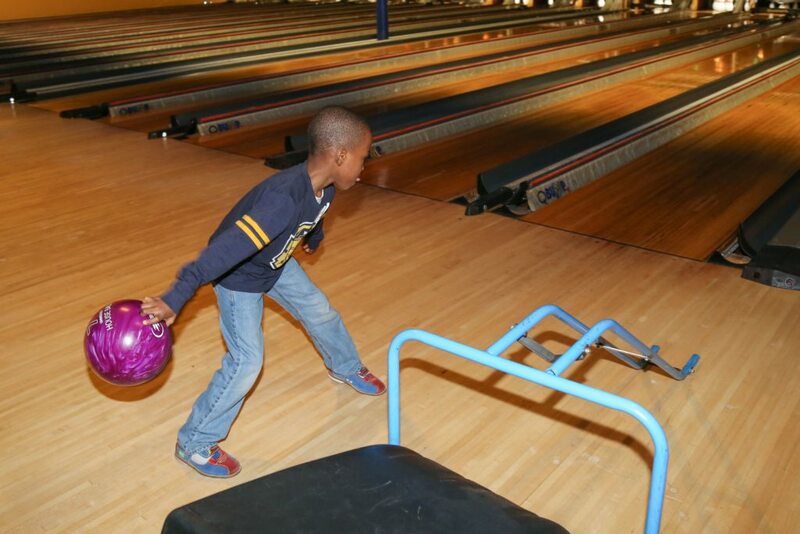 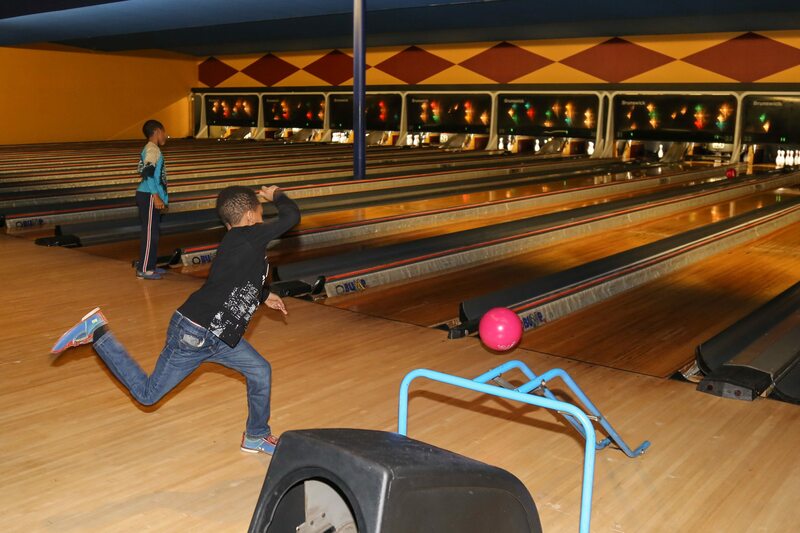 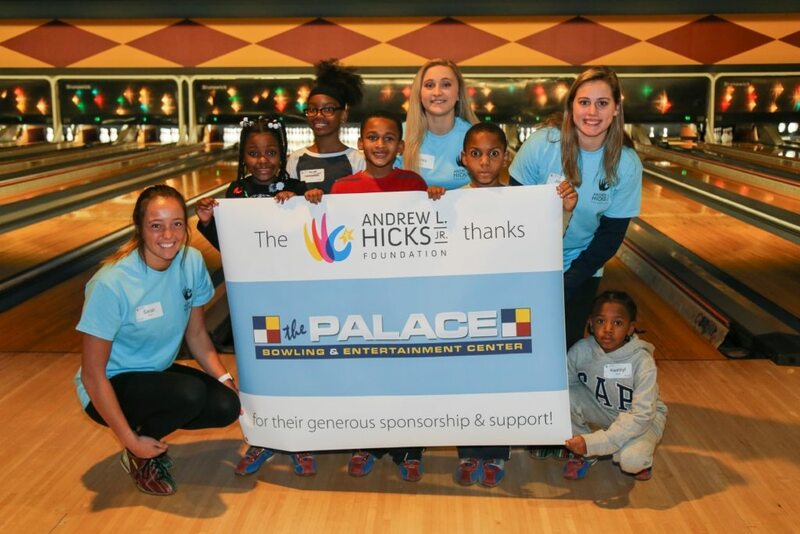 On Saturday January 20th the Foundation hosted its 8th Annual Open Bowl at The Palace Bowling and Entertainment Center! 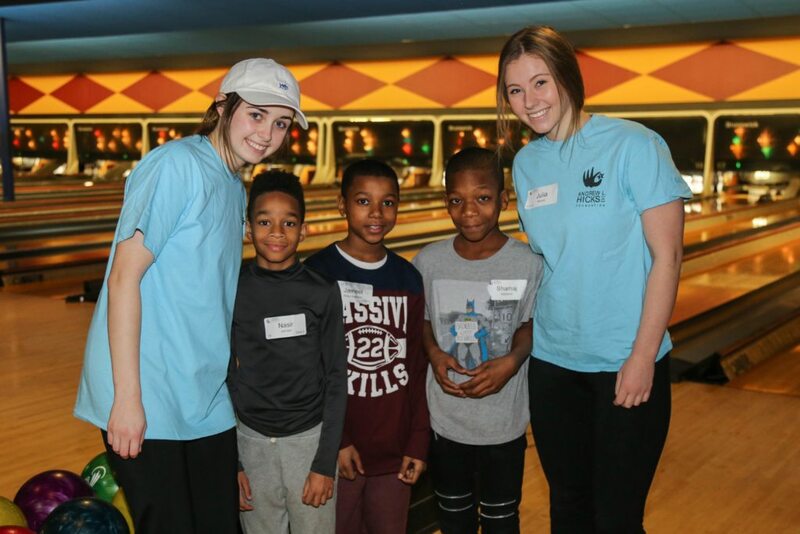 This event was lead by Henderson High School students Corinne Ahrens, Willow Dysard, Sam Chapis, Harry Baker, Hugh McIntyre, and Matt McCann. 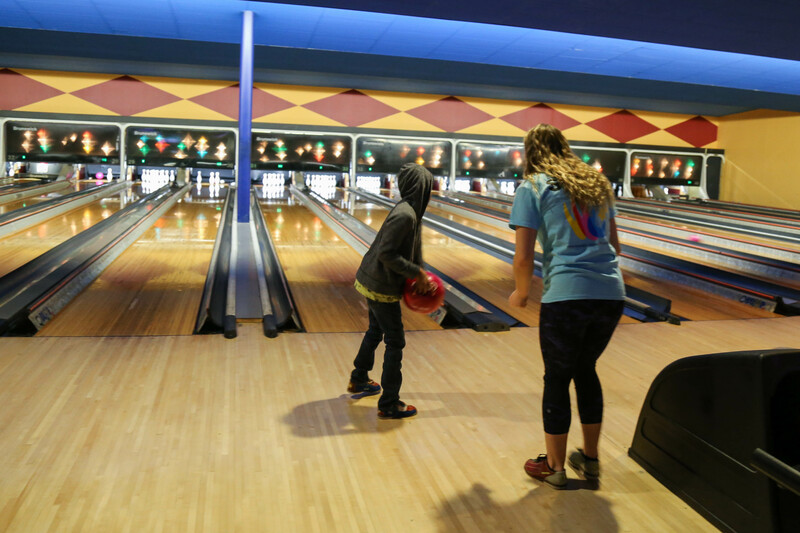 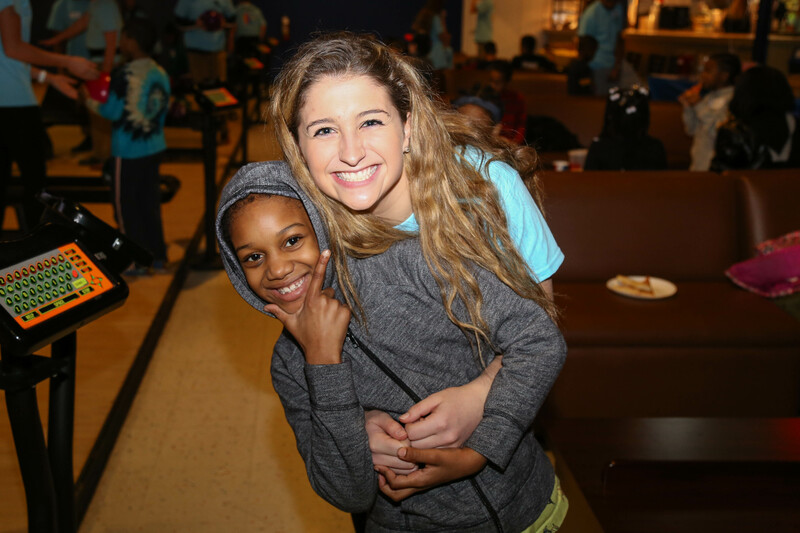 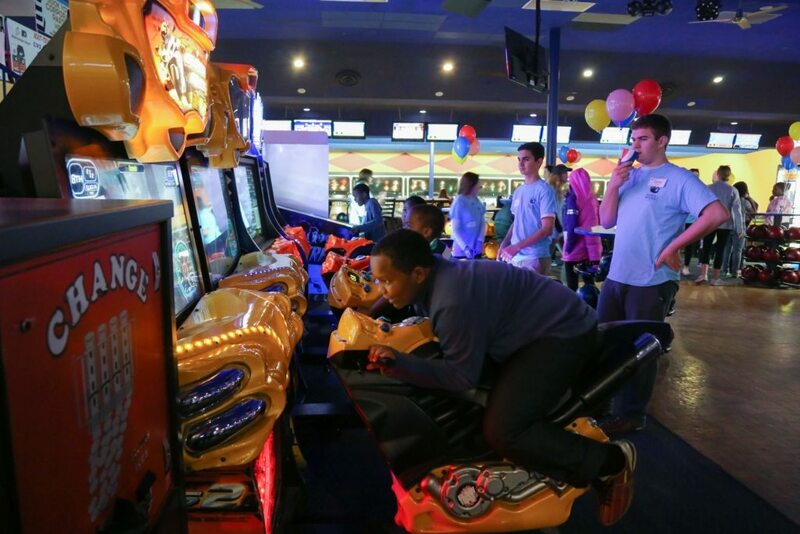 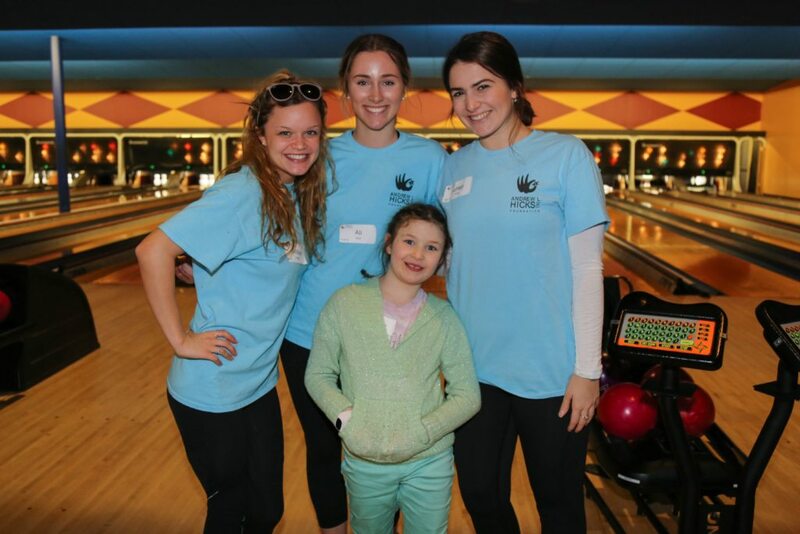 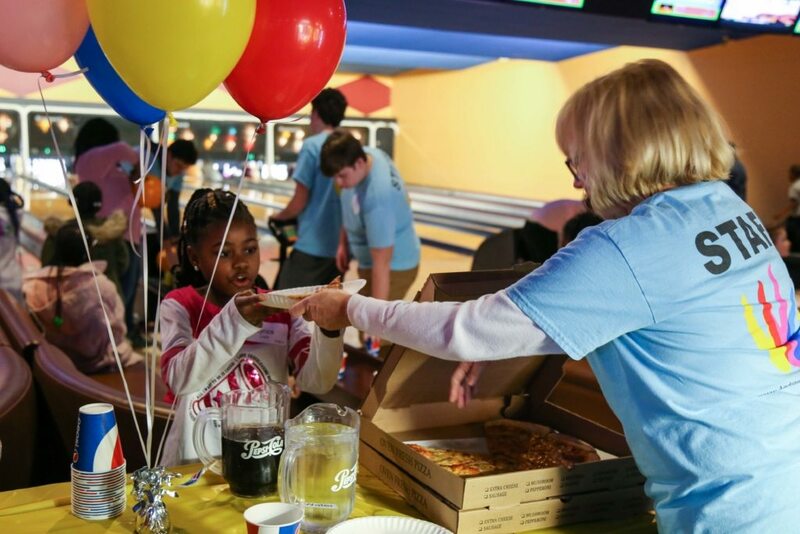 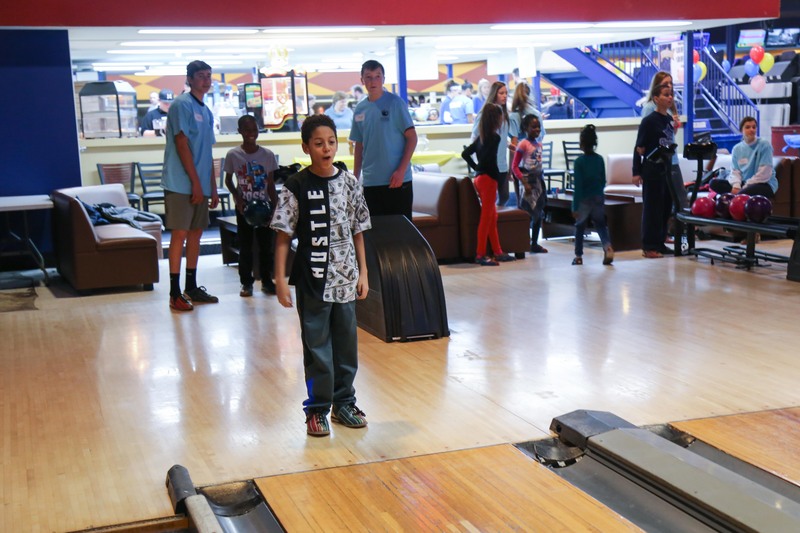 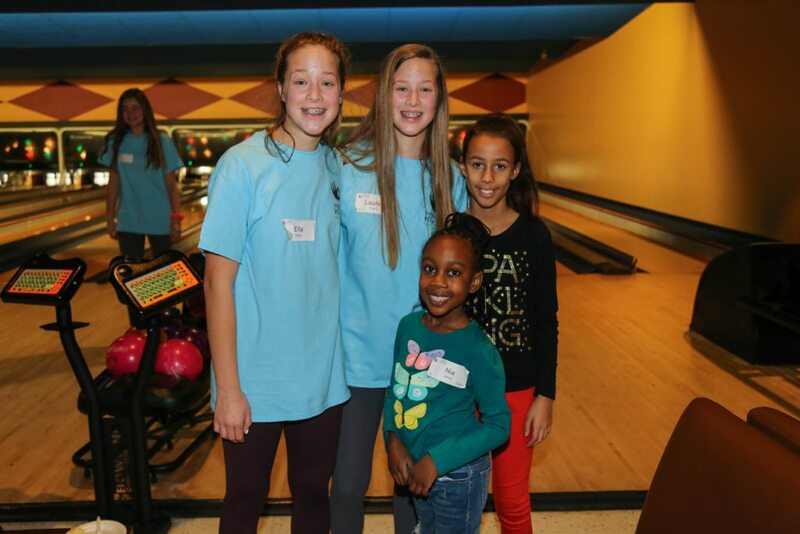 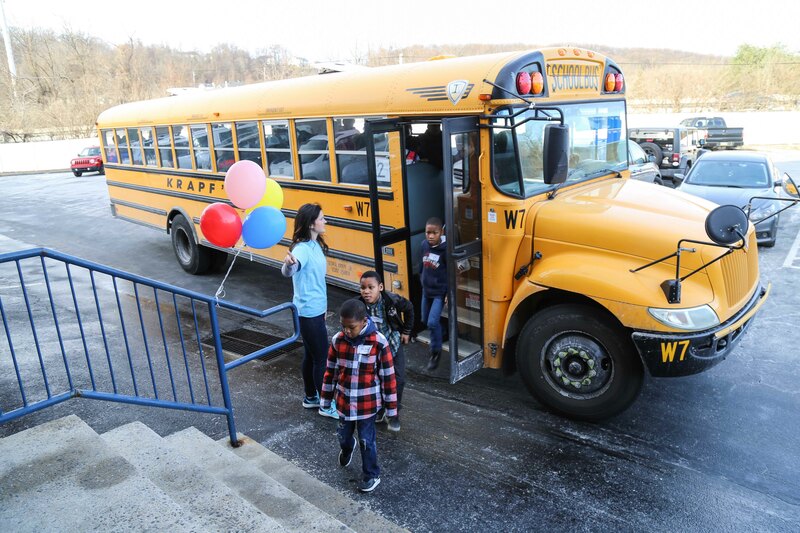 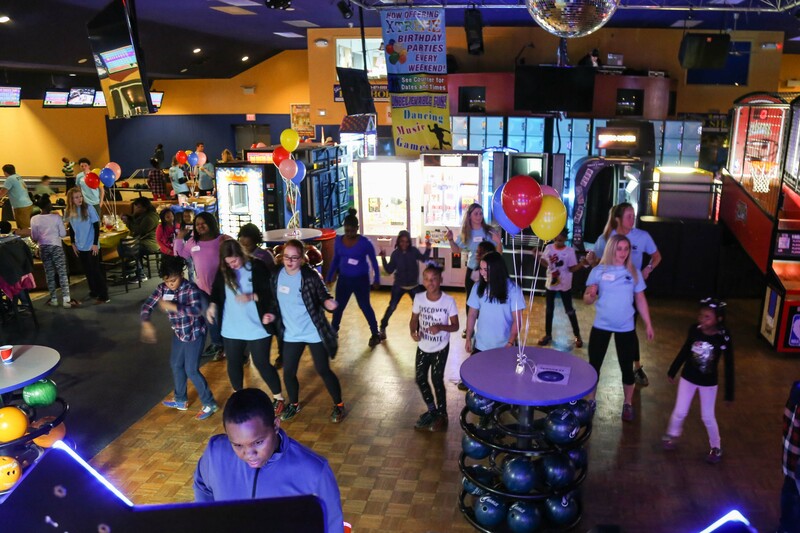 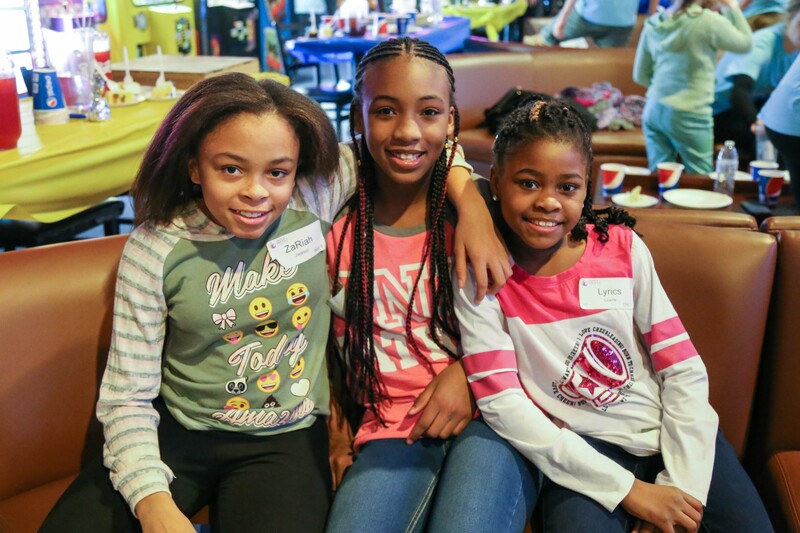 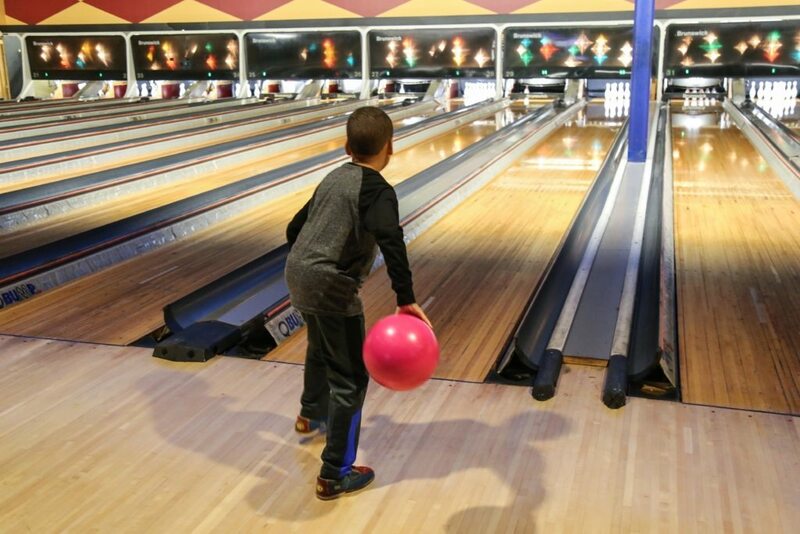 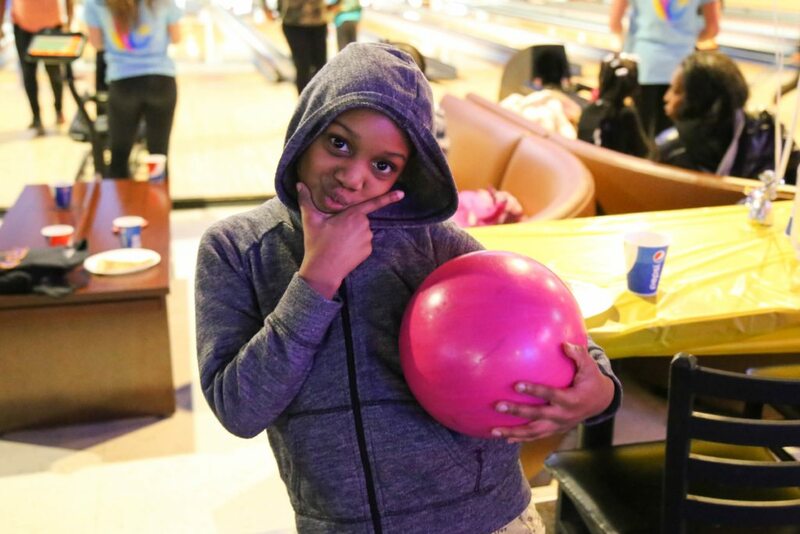 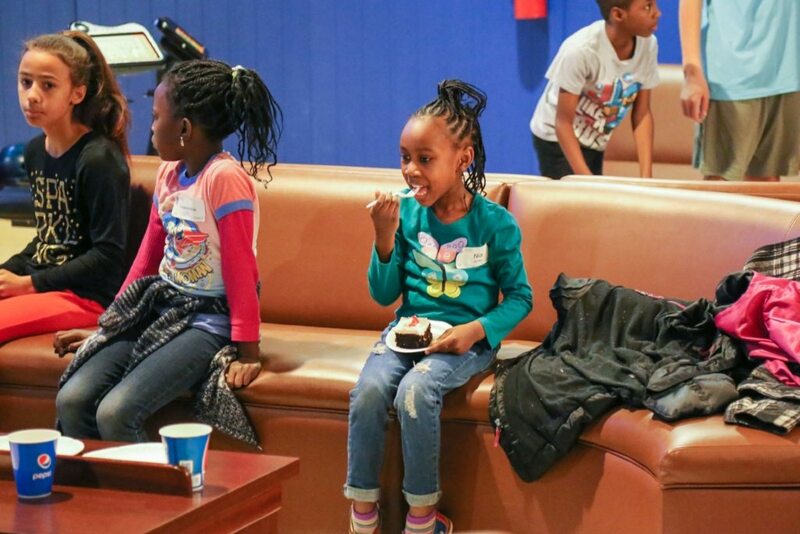 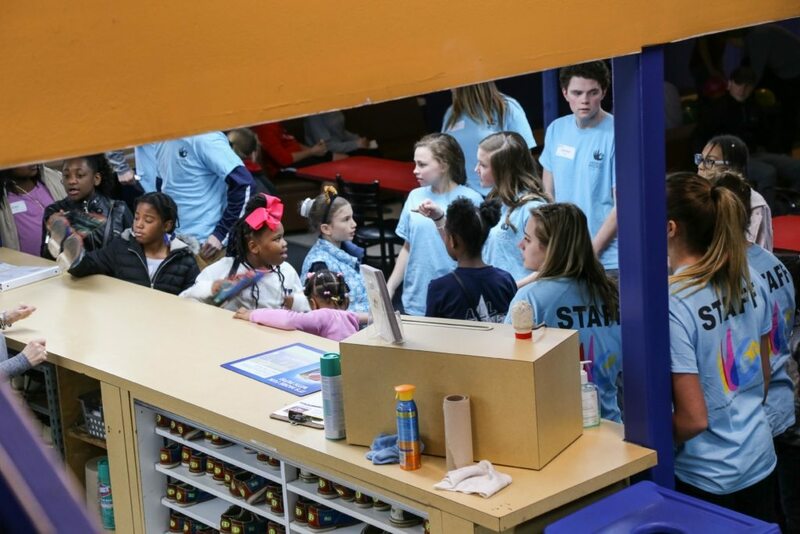 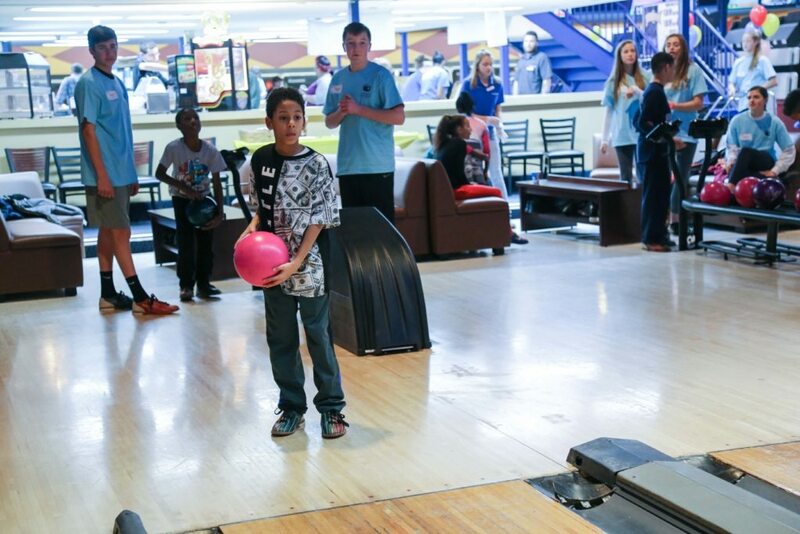 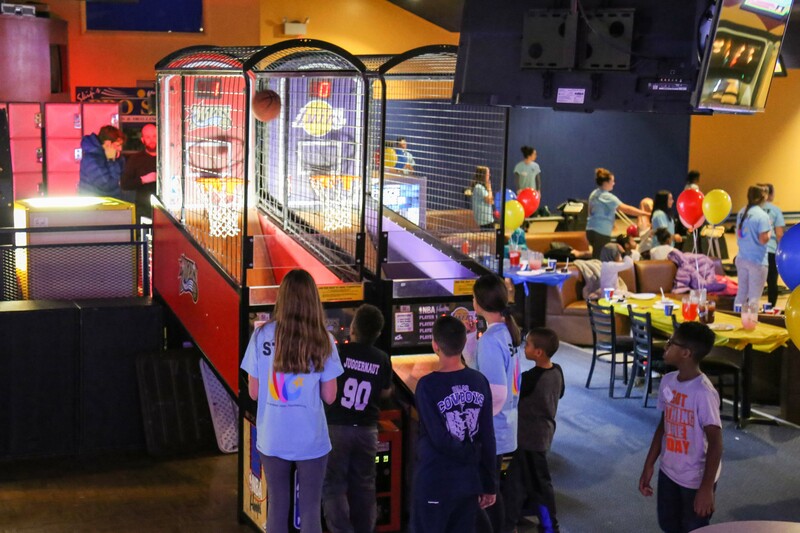 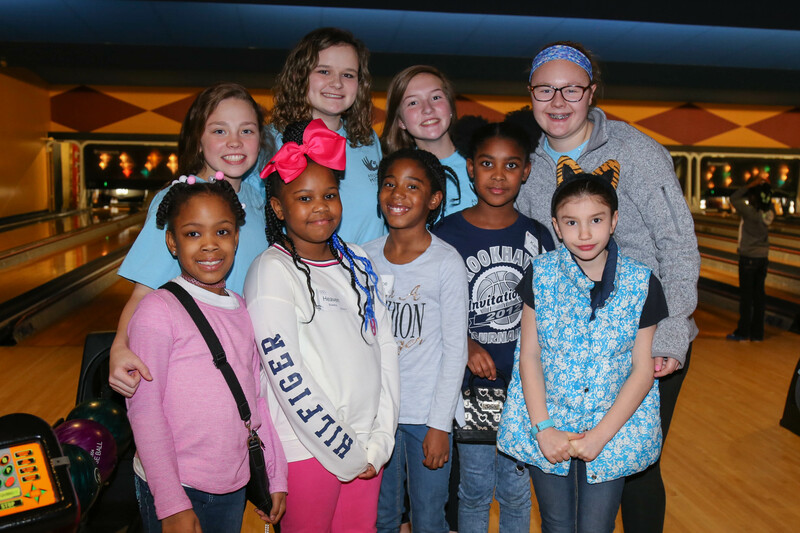 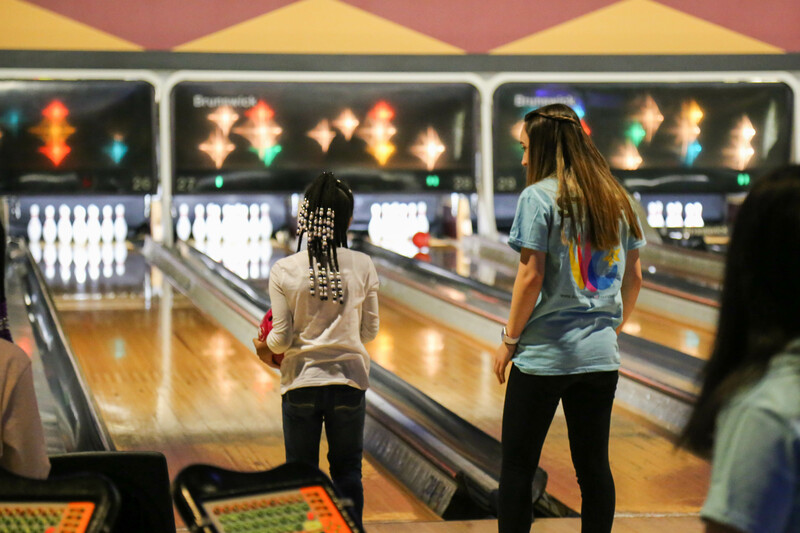 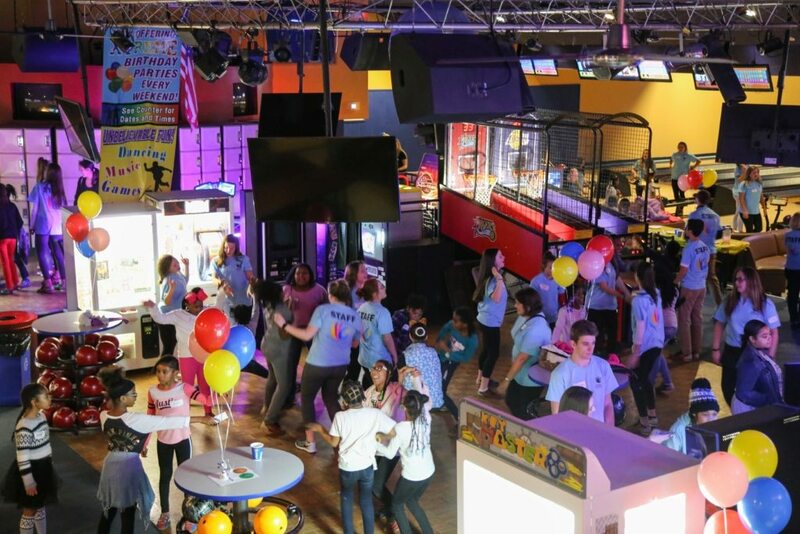 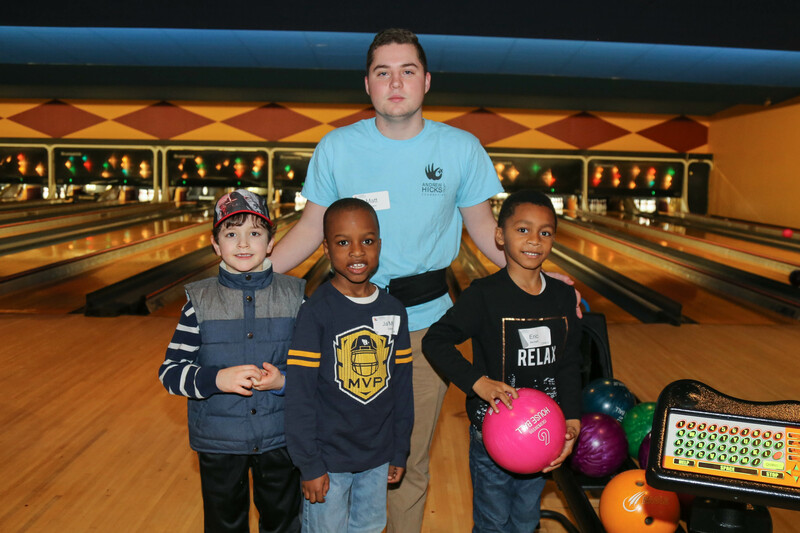 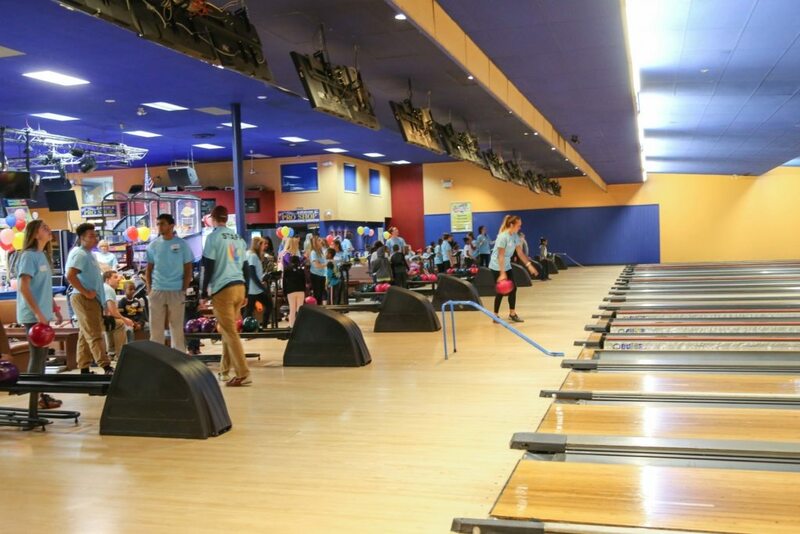 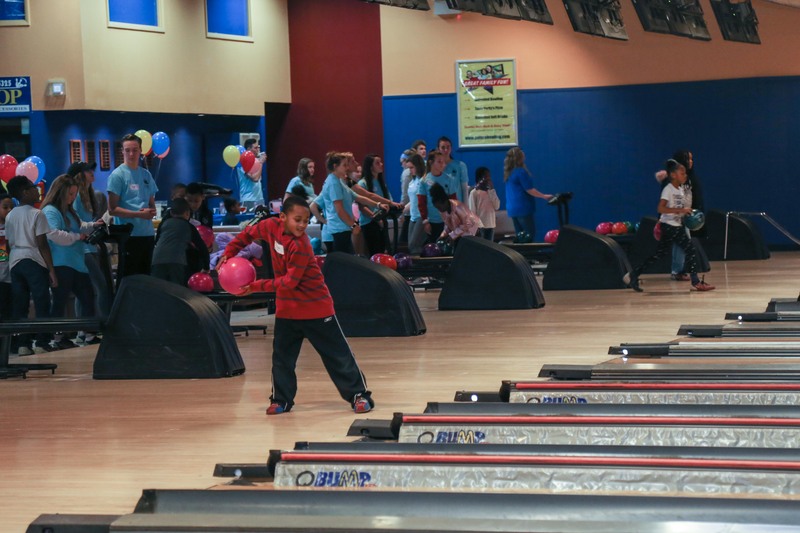 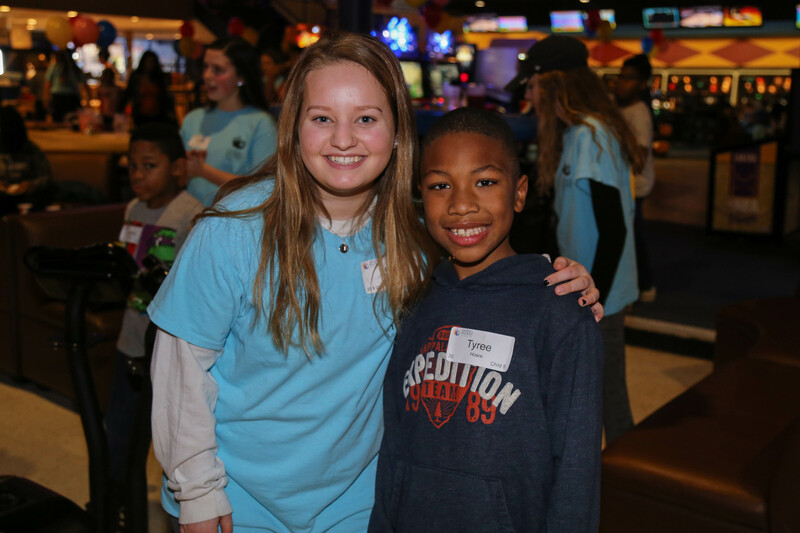 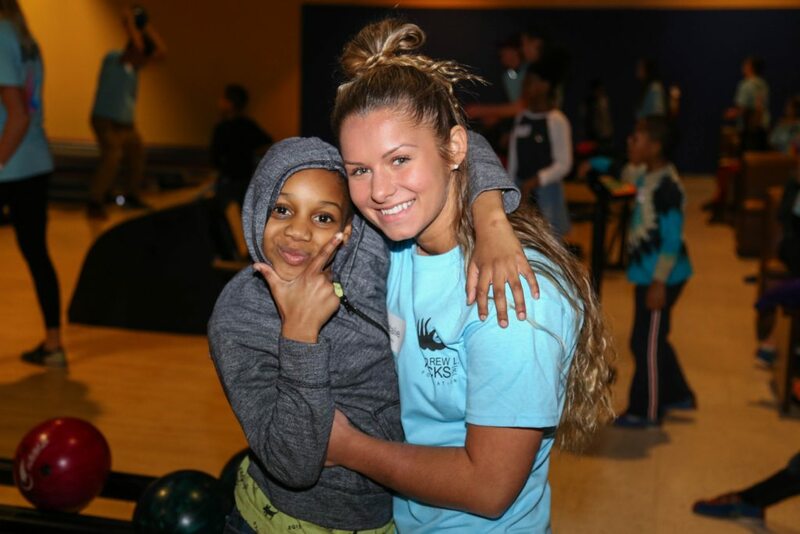 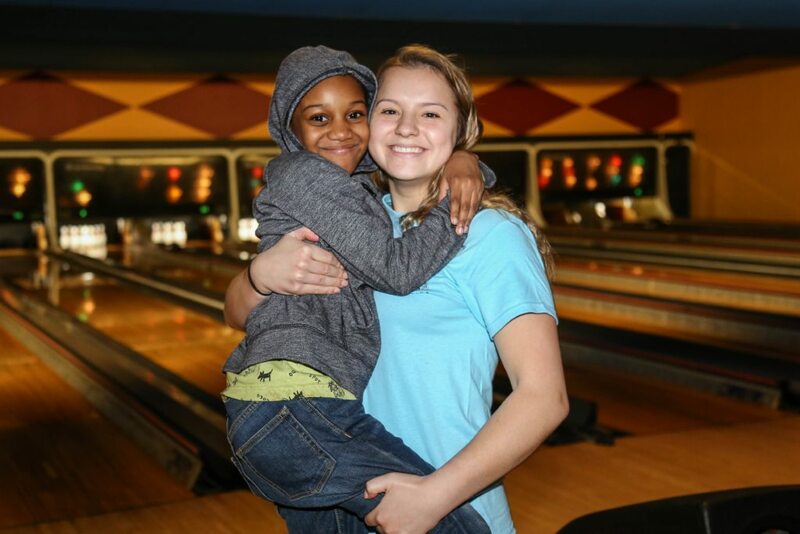 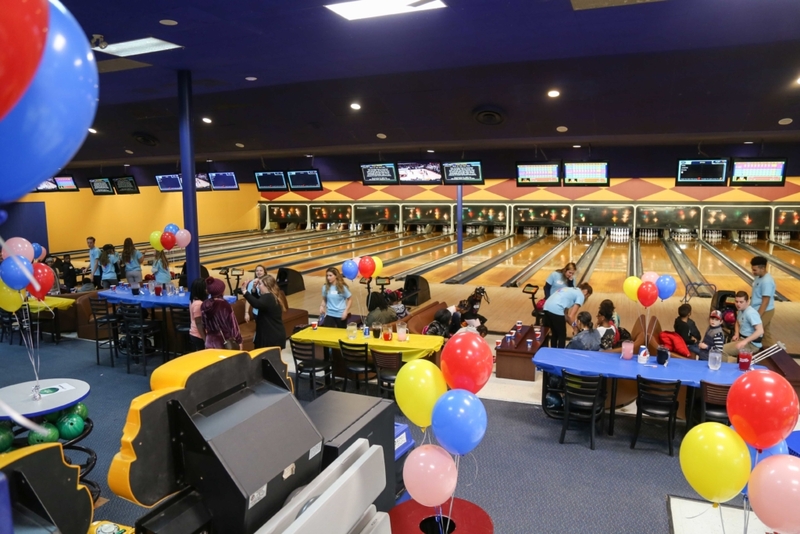 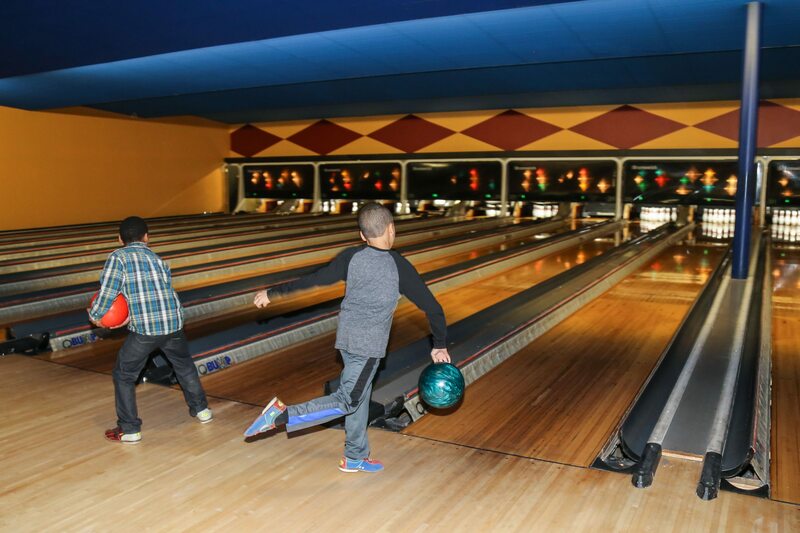 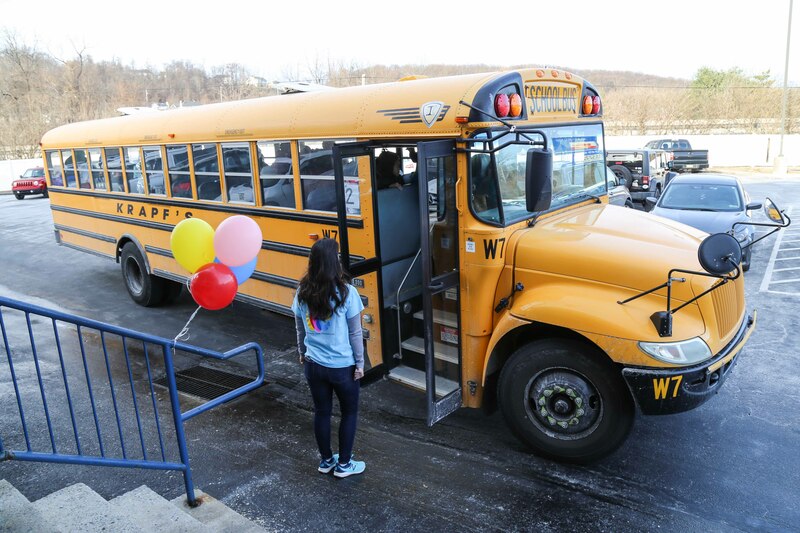 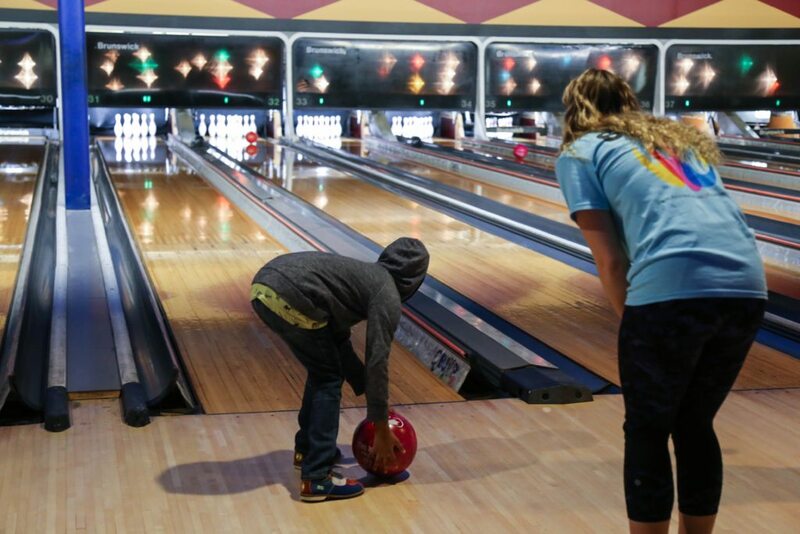 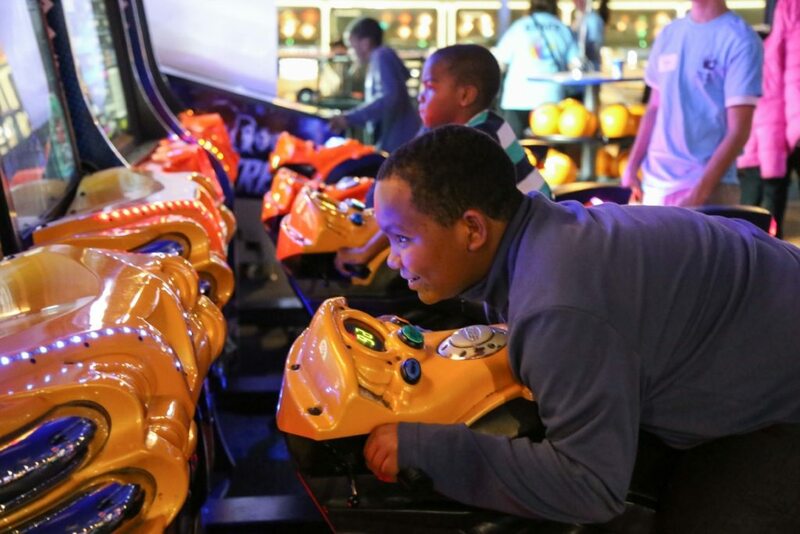 Over 80 Chester children were bused down to the Palace in Downingtown, PA, where over 50 West Chester area high school student volunteers were waiting for them to spend the afternoon bowling together. 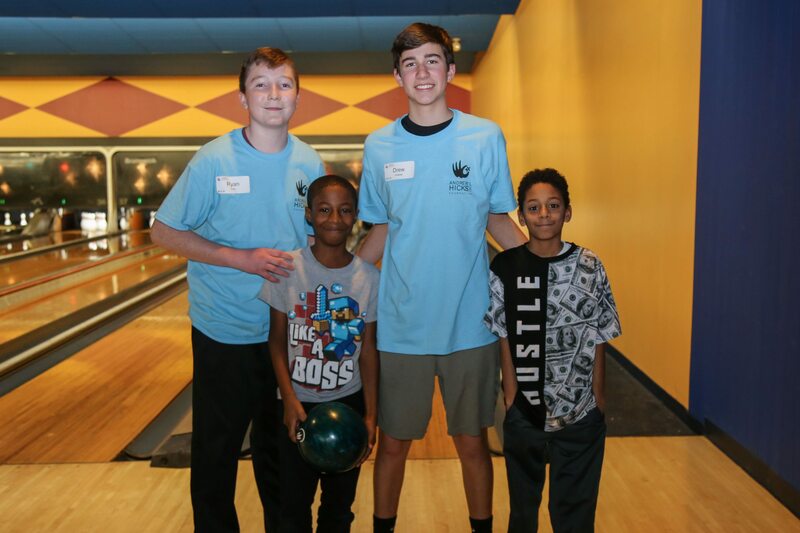 When the children arrived they were taken to their assigned lane and met their new buddy for the afternoon and they immediately began bowling. 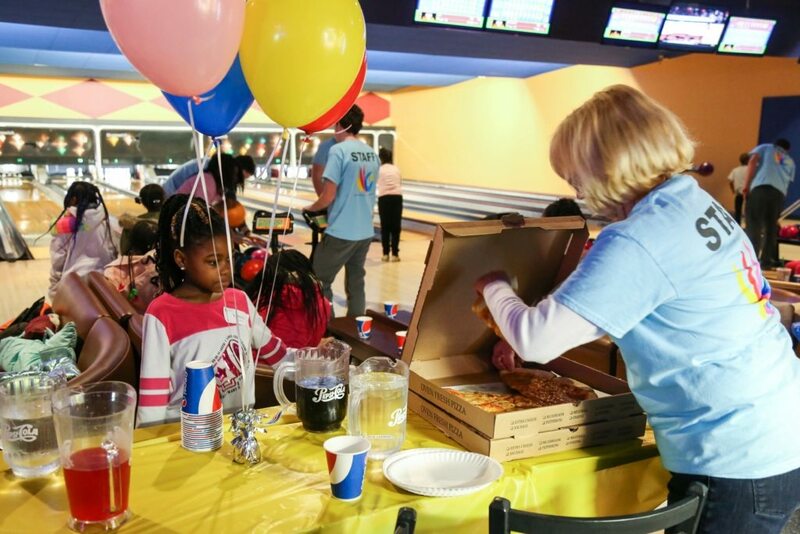 Over the course of the afternoon pizza, drinks, and cake were served to help fuel the fun. And of course it wouldn’t be a true Open Bowl party without the Palace DJ facilitating an awesome dance party that had everyone joining in! 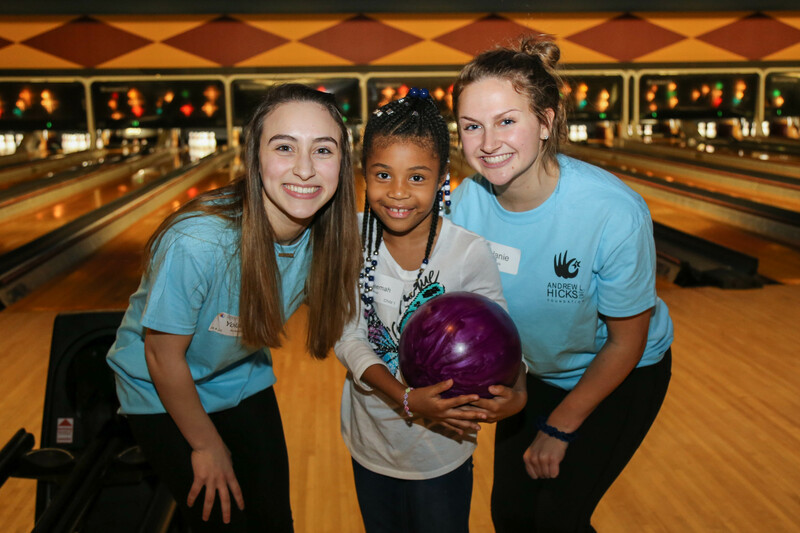 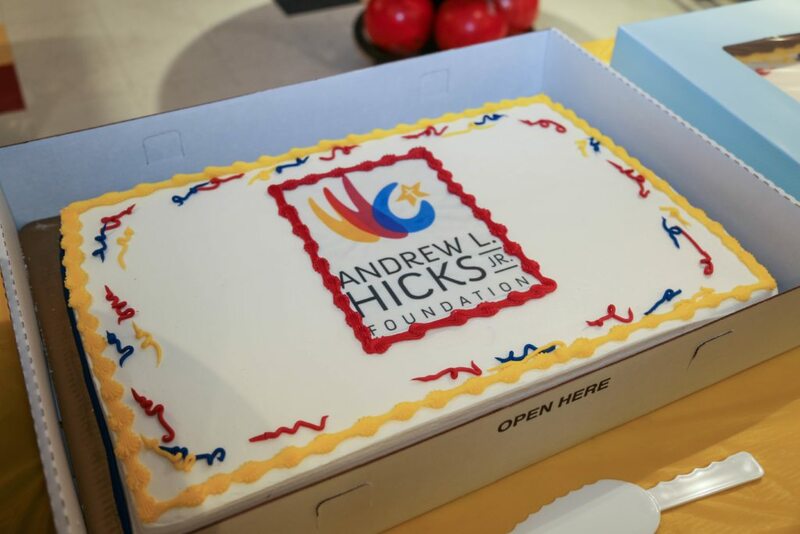 This is the 8th year the Foundation has held the Open Bowl event, which allows new participants and volunteers to be introduced to the Foundation. We are so grateful for everyone who helps make this important long standing event possible. 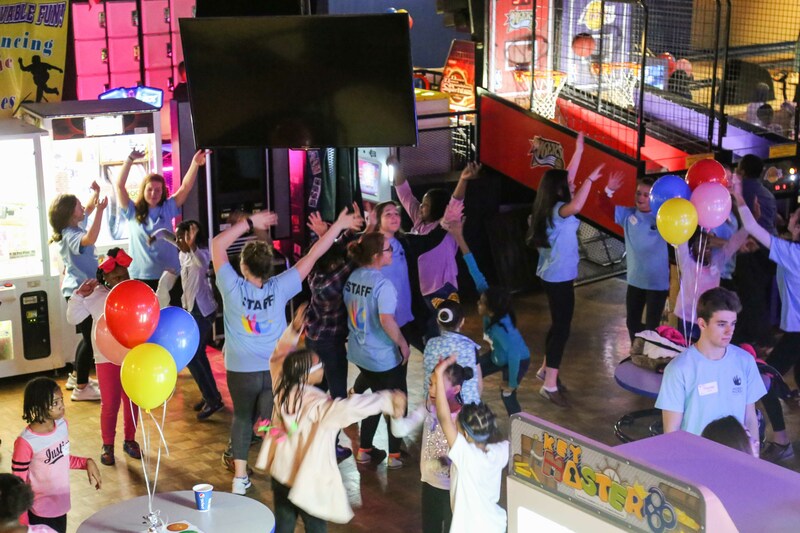 It helps show the new participants a little bit of what we’re all about and we hope this event is an introduction that encourages them to keep coming back and participating in our events!